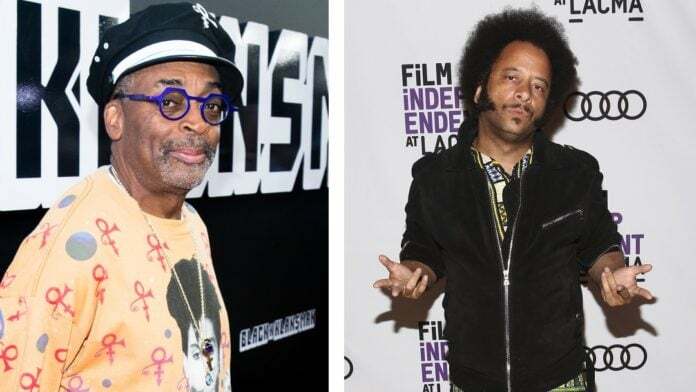 Boots Riley claims that Spike Lee's BlacKkKlansman includes “fabricated" plot points. As The Grio previously reported, Sorry to Bother You director Boots Riley took to social media last week to pop off on Spike Lee for adding fantastical plot points to his latest release, BlacKkKlansman. In his three-page essay, Riley criticized Lee’s portrayal of police in the 1970s-set film, based on a true story about Black African-American cop Ron Stallworth who infiltrates a Colorado chapter of the Ku Klux Klan. Riley noted in his essay that the film included “fabricated” plot points because the real-life Stallworth infiltrated a black radical group for three years instead of briefly, as the film suggests, reported THR. His critique boils down to the fact that Lee’s movie depicts cops as heroes in the fight against racism. But we all know that’s not the reality for Black Americans. Asked to share his thoughts on Riley’s post during a recent interview with the U.K.’s Times, Lee said he’s “done” engaging in public feuds with his colleagues. But even Stallworth noted to told THR that racism exhibited in America 40 years ago is still alive.